This rugged, mostly undeveloped park a little west of Woodside is perfect for an Autumn heatwave. 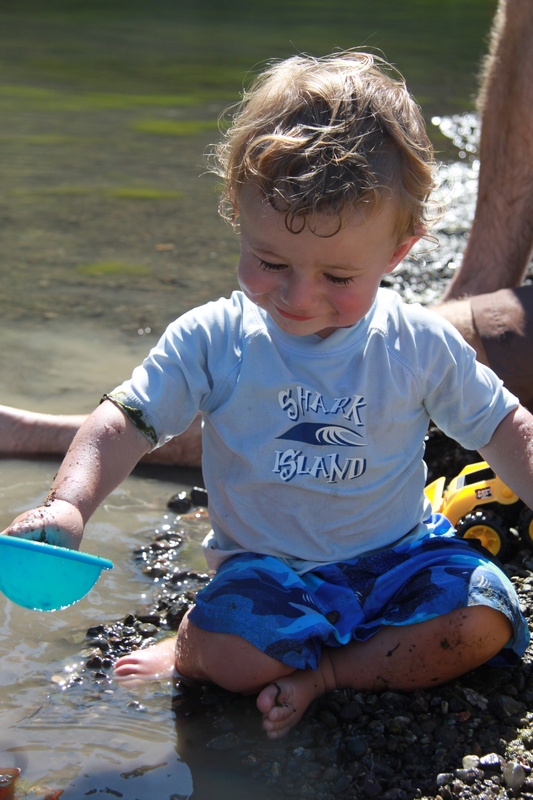 The trails are shady and wide enough for jog strollers, and the slopes are not too extreme. We were a little short for time on this visit and so just did the short loop that leaves from the car park and threads over the hill and back to the equestrian arena. The Monkey and his chums loved the hike and walked the whole way: they looked for horse poop, sticks and stones, and examined all the drainage pipes along the way. The Folger Stables, located just near the car park, are an added bonus. They are spectacular, luxurious, circa-1900 stables, have been beautifully restored and were even recently listed on the National Register of Historic Places. The horses there live better than I do. It’s certainly worth nosing around: the kids love checking out the horses (all have their names on their stalls) and the adults can marvel at the extravagance. Toilets in the car park – but no other amenities. 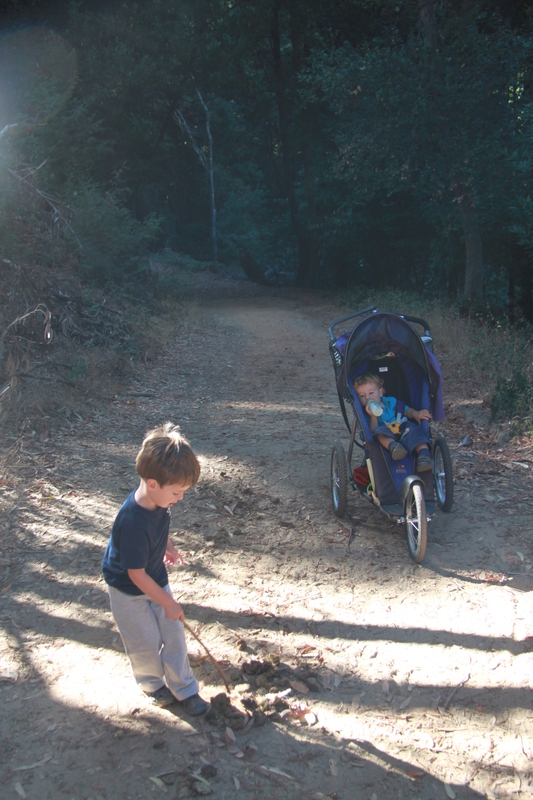 Want a hike with great views that the kids can also do? Then this one’s for you. 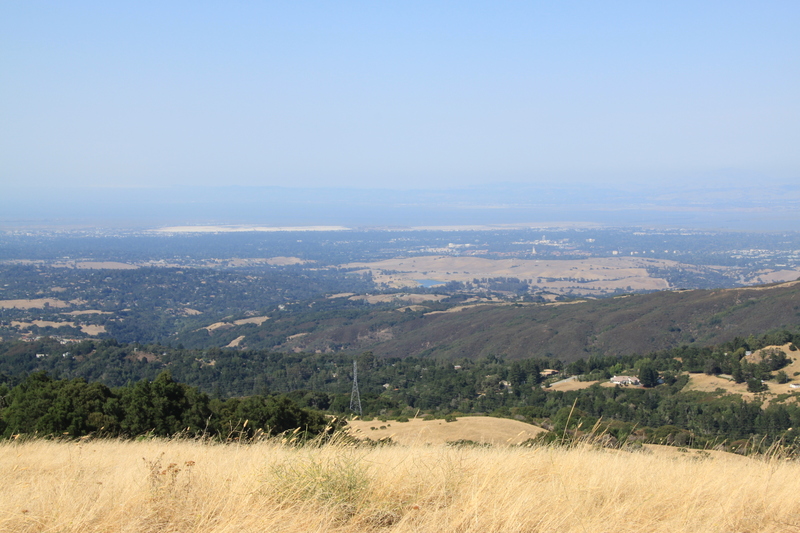 We had guests in town and wanted to give them a taste of the local countryside and a sense of the peninsula’s geography, so we headed up to the Russian Ridge Preserve off Skyline Boulevard. 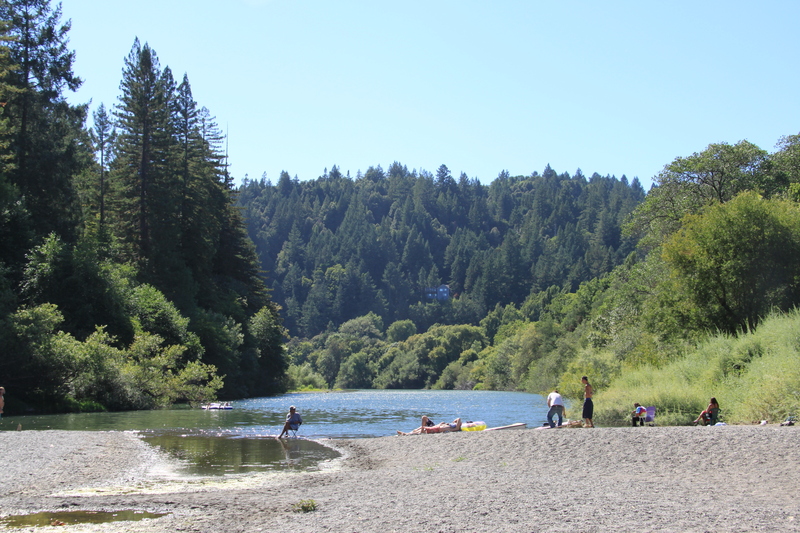 It was wonderfully sunny, the land was that beautiful late summer mix of green and gold, the turkey vultures circled overhead, and we could see for miles across the bay. We chose a shortish route that was interesting for the adults but allowed the kids plenty of opportunity to get out and walk. From the Vista Point parking area we took the trail up Borel Hill which has the most fabulous views, before heading along the Ancient Oaks Trail for about a mile and then cutting back across the ridge to our starting spot. 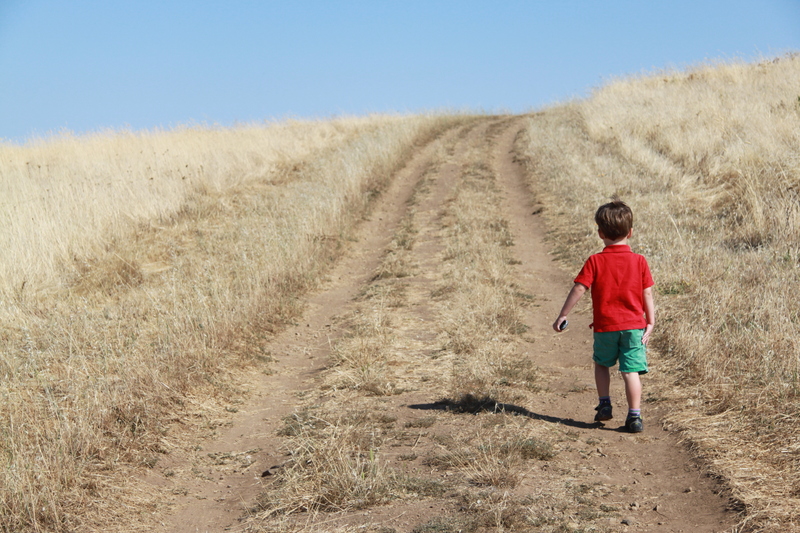 The entire route was about 2 miles, and a little hilly–perfect for our nearly three year old to walk himself. We’re a bit worried about the future, however, as he insisted on doing the whole loop with his (pretend) cell phone in hand, just in case one of his friends called. This summer we spent several weekends exploring this beautiful, but often gloomy, coastline. Before we left, we found it hard to get much useful information about the beaches along the way. 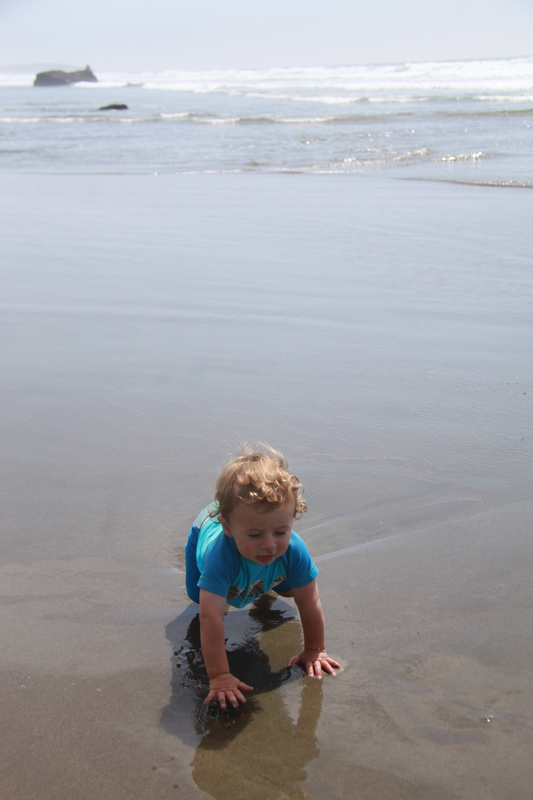 Which is a shame for two reasons: the beaches are gorgeous and the beaches are very varied. Some are sandy, some rocky; some have plentiful, free parking while others charge a fee; and some have child-friendly surf and at others the tide patterns make even paddling a little risky. 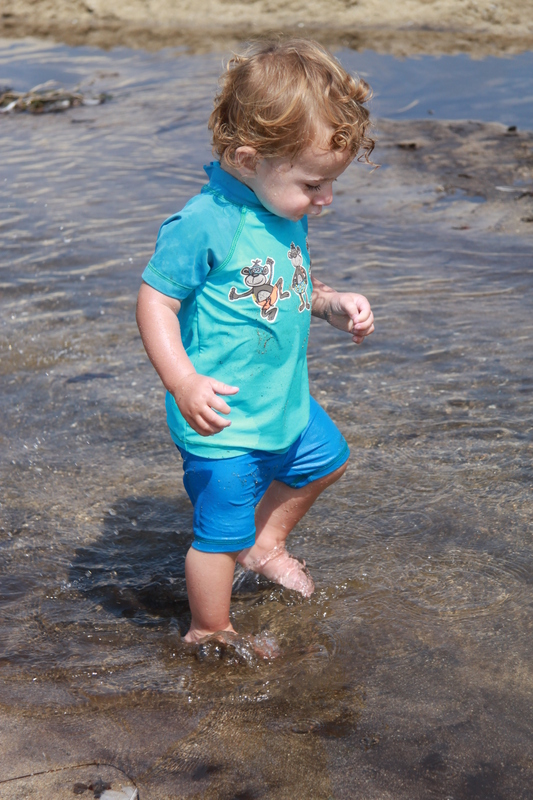 To save you driving along the coastline filled with anxiety that there is a better beach just around the next headland, I thought I would review our two favourite and, in our view, most toddler-friendly spots. 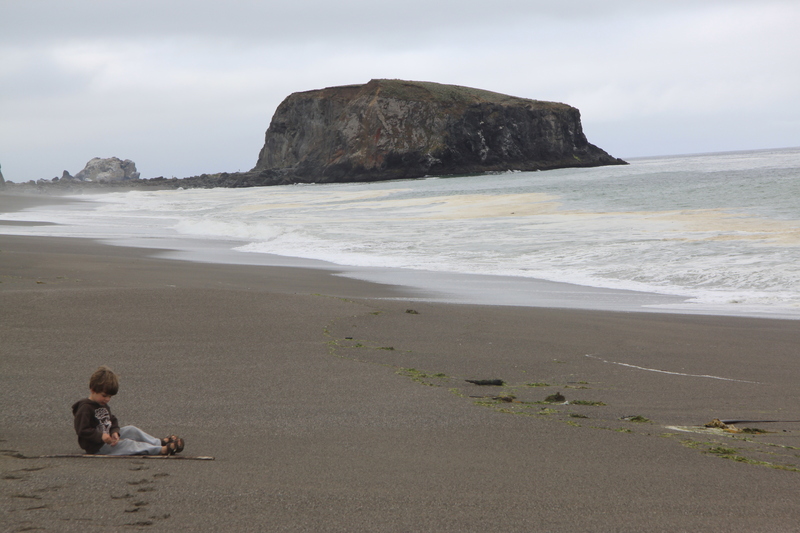 This beautiful, sandy expanse lies just North of Bodega Bay. The official car park is usually full (it seems to be a favorite surfing spot with the locals) but you can park for free along highway 1 and climb down to the beach. The beach itself is long and usually feels empty, apart from the driftwood, seaweed and jellyfish that litter the tide line (this all makes it an interesting toddler beach). Unlike some places along this coast, the beach slopes gently into the surf, making it an excellent spot for paddling when the sun comes out. Plus, at low tide, there are some great clambering rocks for pre-school age kids. 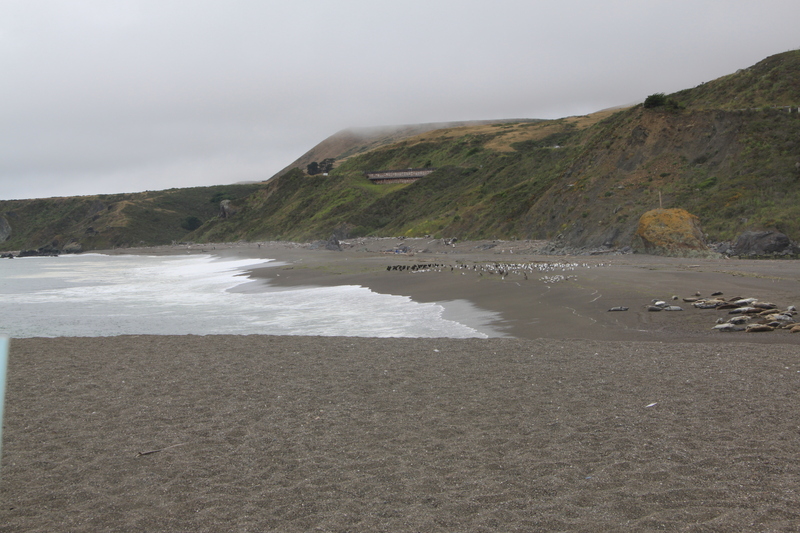 Every time we visit Goat Rock Beach it’s always cloudy and windy, but I assume the weather there is sometimes nice. 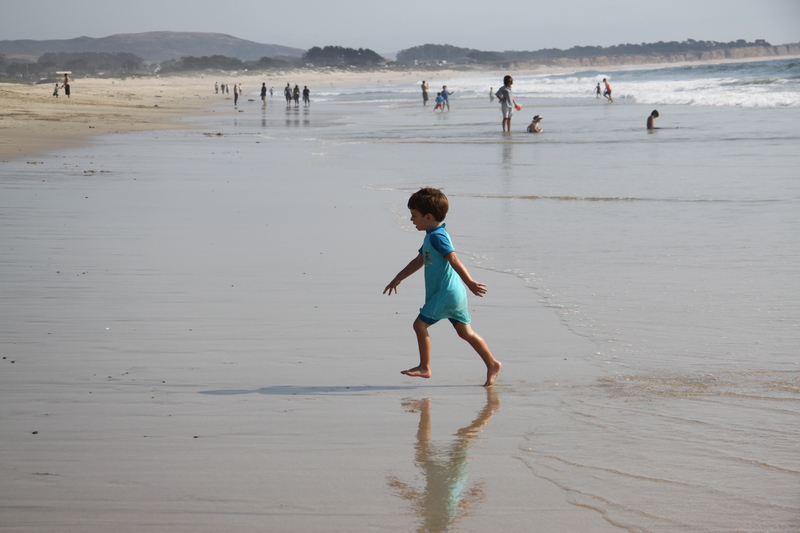 It’s a great beach to explore however. 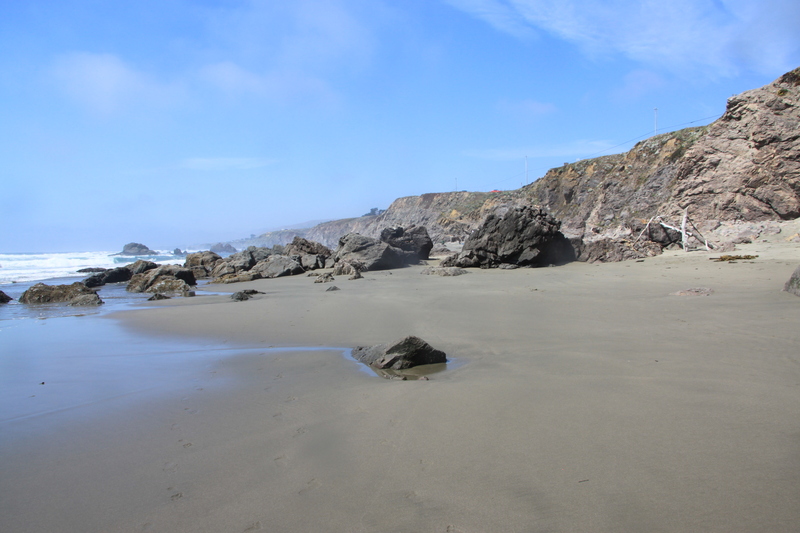 In addition to the sand and driftwood, there is a seal colony that can easily be viewed from the shore and the remains of the old railway that used to take quarried stone from the Goat Rock headland to the southern end of the beach for transportation by sea. Goat Rock itself used to be part of the headland until the old quarry was built. Tracks in the sand are all that remain of this sizable industrial project now, and kids can enjoy playing detective on the beach following the old railway line.